“Friends don’t let friends work at Starbucks”. That’s a new mantra that seems to be gaining steam among the masses of independent and contingent workers in today’s new age of work. As with anything, what once was cool just a few years ago: typing away at your laptop while in a coffee shop surrounded by people cooler than you (read: hipsters), cool beats and fueled by a non stop source of caffeine has become a bit of a buzz kill (pun intended) when it comes to trying to run and grow a small business. Those hipsters are silently (or blatantly) judging you for taking up space at their cafes or just out and out not providing WiFi, those cool beats you once loved now make phone calls a bear and at the end of every month you realize that you are spending a small fortune on coffee. There are far better ways to work as an independant or contingent worker that don’t include working from home. In the 90s, one of the greatest employment perks one could land was the ability to telecommute, but recently Yahoo! got much attention when their new CEO insisted that all employees had to come back to the office. So – working from home has become passe (not to mention has been found to be incredibly isolating) and working from a coffee shop is more like a scavenger hunt for the closest outlet, so what are you to do? Enter the Future of Work Movement and the Shared Workspace Revolution! It’s no longer a crazy idea to share space with others for the purpose of getting your work done – now it’s what all the cool kids are doing! As with any new trend, there has been a sudden boom in the amount and type of shared DC virtual office space facilities available, offering individuals more choices than ever before. Private Offices or Open Coworking? Neither choice is right or wrong, but more along the lines of what do you need? 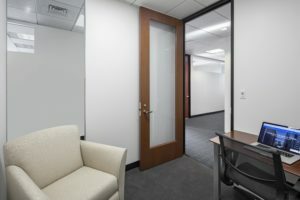 If you are a management consultant or a lawyer, you might want to opt for a private office that can be locked. If you are a freelance designer or an event planner, you might need less privacy and can consider a desk that is in a shared, open space. Make sure the choice you make has plenty of private meeting rooms bundled into the dc virtual office space plan you select. Are you more of a 9-5, standard routine worker or are you a road warrior? For those contingent workers that often make their own schedule and have a routine, you might want to consider a regional operator for a more curated local experience. If you are flying all over the place, you’re probably more likely to join a space that has locations where you need to be. The most frequent question I hear from folks considering joining a shared workspace is often about the other people, or for lack of a better word, Community. No matter how visually pleasing a space is or however many amenities are offered, a lack of community might be a reason to continue your search. One of the benefits of working in shared spaces is the often mentioned “Accelerated Serendipity”. This term refers to the ability to connect with the people in the space, allowing for interaction, collaboration and an overall increase in productivity. If you are a headphone on type of worker, this might not be as important to you as someone who thrives surrounded and engaged by different people. It’s important to remember that when choosing a DC virtual office space, there is no right and wrong – only the proper fit for you. With over 9,000 spaces worldwide and an estimated 28,000 by the year 2018, more and more will open to cater specific needs and demographics. When you consider a space, don’t just tour – take them up on any opportunity to do a test drive. Be open and honest about what your needs are and ask questions! 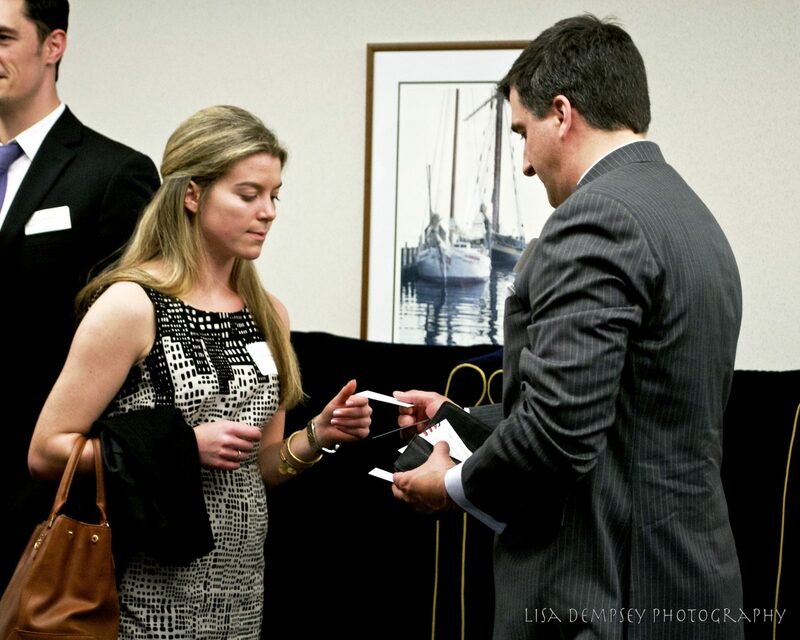 If the space isn’t a good fit, that’s ok – ask if they have some recommendations and take them up on their referrals. 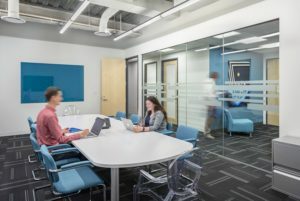 As operators of shared workspaces for over 20 years, the team of Boston Offices is happy to schedule a time to speak with about your space needs and help you find the best fit! Whether or not we are the best space for you, we believe that you deserve better than working in a cramped coffee shop or in your 2nd bedroom/home office. Come discover the benefits of shared workspaces today! If you don’t chose HourOffice DC. Check out our cool friends at Cove.